Samaha Russell Hodgdon PA blends the use of modern technology to provide efficient, up-to-date legal services with the reliability of more than 165 years of respected legal services throughout the North Country. The firm’s Grafton County and Coos County civil litigation attorneys provide comprehensive legal services for clients in Northern New Hampshire and Vermont. Our firm dates to 1846, when Harry Bingham began practicing law in Littleton. Bingham twice became a New Hampshire Supreme Court justice. Each time, however, he returned to our law firm in Littleton. 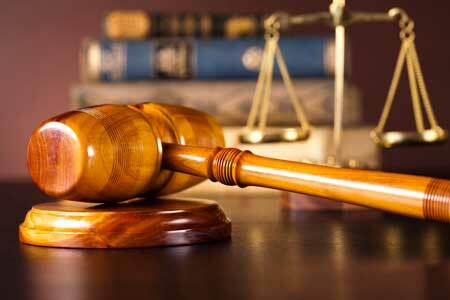 Over the years, many prominent lawyers have worked in our firm, several of whom have later become judges. Harry Bingham’s son, George H. Bingham, joined the practice in 1891. Henry Dodge joined the firm in 1919, followed by Francis W. Moulton in 1945. In 1966, Peter W. Smith left the New Hampshire Attorney General’s Office to join the firm, where he practiced until becoming a Superior Court judge in 1985. Stephen U. Samaha joined the firm in 1973 after practicing with a Manchester law firm. Timothy Vaughan joined our firm in 1978, leaving in 2003 to become a Superior Court judge. In 2003, Mark C. Russell merged his practice with the firm, creating Samaha & Russell PA. After merging practices, the firm added Jody A. Hodgdon in 2005 and Nikolas Frye in 2006. Today, our historic law firm offers the same experienced counsel and representation with an expanded ability to provide comprehensive legal services using the latest in online research and technology to improve our services. We have four attorneys with 85 years of combined experience and skilled legal assistants who provide friendly, effective assistance for our clients’ personal and business legal needs. We focus on civil litigation, family law, real estate, estate planning and business planning, banking and municipal law. Our offices are at 125 Main Street in downtown Littleton, on the third floor of the Laconia Savings Bank building. We are across from the post office and district court. To learn how we can help you, call us at 800-785-9672 or contact us online.